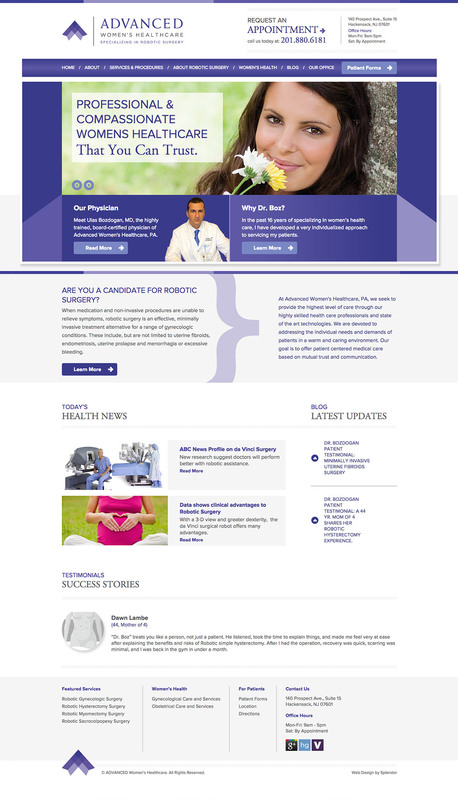 To create an all-new website design for Advanced Women’s Healthcare in Hackensack, NJ. The website needed a new visual design, improved navigation and search engine visibility. The new website is part of Advanced Women’s Healthcare’s design, messaging, PR and media relations campaign to increase the presence and visibility of the practice with a strong emphasis on Dr. Bozdogan’s unique experience and qualifications. We created a site that matches his new branding, and updated his existing site content for improved search engine visibility. Developed in WordPress, the site makes it easy for non-technical users to add pages, articles and other content. This site won a GDUSA award and silver Davey award in 2014.